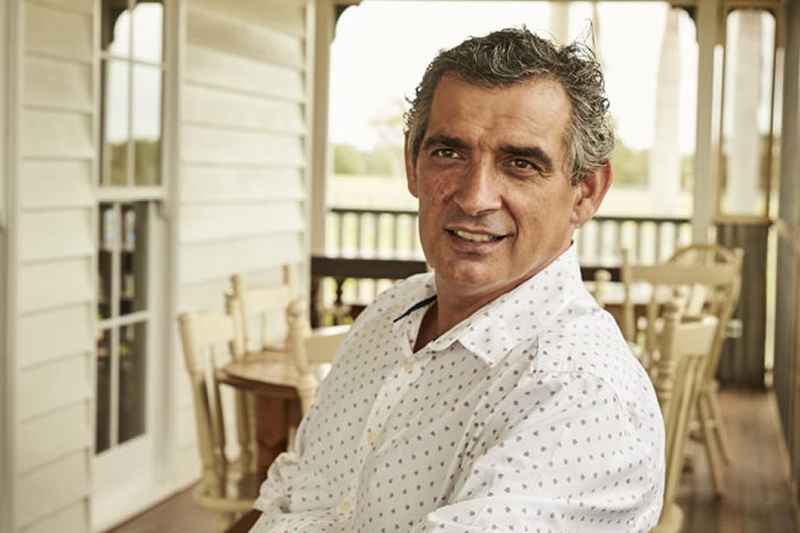 As we start preparing for the magic and excitement of Noosa Food & Wine in May, we decided to catch up with guest chef Bruno Loubet who will be joining Jules Santisi and team in the kitchen for our event Saveurs De La Ferme. Born in France, and having trained all over Europe including the UK, it is Bruno’s focus on a plant-based diet and the origin of what we cook that appealed to the Aromas team, as Maravista Farm plays an important role in the Aromas menu. Our shared passion about food sustainability and the impact our diet has on the planet and our health made Bruno an obvious choice, and we are excited to have him join us for an event focused on simple dishes with the freshest locally grown produce. His impressive resume includes some of Europe’s top restaurants, including his awarded London restaurant Grain Store, which was named Sustainable Restaurant of the Year in 2013 and 2015. He has published several bestselling cookbooks, appeared on television, and recently moved from London to the Gold Coast Hinterland where he and his wife Catherine are developing a cooking school and farm on their property. 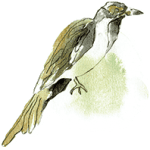 What do you have planned for the menu of Saveurs De La Ferme? I designed my menu around what will be available at the time in Maravista Farm. The plants are fully part of the dish and every part is necessary. A few little things may change on dishes when I walk around the farm the day before. Excitement may take over! You famously shifted your focus to plant-based dishes; is this something we can expect from the menu with Jules Santisi? Definitely. As a child I have been raised appreciating the amazing seasonal vegetables from our garden but also foraging for mushrooms, wild berries, salads, nuts, etc. I worked in some fantastic kitchens during my career so I have learned and seen a lot. But with no doubt in my mind, I am now convinced that following a mainly plant-based diet is the way to go; having the occasional animal products but only of great quality. Are you excited to work with the produce from Maravista Farm? Absolutely. Good, fresh produce is always a joy to cook with. Sharing growing tips with passionate people is very exciting. I can’t wait! Is cooking a perfection of craft, or act of love for you? I believe that as a professional chef you need to learn techniques, skills and respect of the product. Provenance and ways of production should also be your interest. These are the foundations. For someone loving to cook for family and friends, just enjoy yourself, try, taste, look around you, there are no rules, no barriers, only fun and love. You moved to the country to open a cooking school. What has that experience been like for you? It’s been a lot of work, clearing the land, building sheds, paddocks, planting trees, creating a vegetable garden, renovating a beautiful old Queenslander, and of course building the school. A lot in the space of a year! So maybe Catherine and I will stay a few extra days in Noosa to soak up the relaxed atmosphere. What produce have you grown on the property? Which has been the biggest challenge? I have planted various trees, fruits and natives, lots of vegetables using the Hugel method (a type of permaculture). The biggest challenge has been the fruit trees planted on the hill as the top soil layer is very thin and quite heavy in clay and rocks underneath so there is plenty of work there to improve. What are you enjoying most about your Australian home, compared to London? A Queenslander is like an old sailing ship, it needs constant attention but so worth it as it looks so amazing. Every day we have a smile on our face looking at the old lady. Join us for a magical evening under the stars with Bruno Loubet and Jules Santisi for Saveurs De La Ferme as part of Noosa Food & Wine. Tickets are on sale for the May 17, 2019 event, with limited places remaining.